Hiring a professional isn’t a luxury; it’s almost always smart thinking. Just think about remodeling your bathroom on your own and you’ll understand what I mean. To be productive sometimes you need a second set of hands to free up your time and mental energy, so you can do what you do best. Fortunately, the internet has made it easy to find the brilliant and talented freelancers who can help you, at affordable rates. You’ll wonder why you ever hesitated to hire some help. What should you look for when you’re hiring a freelance writer or virtual assistant (VA)? Experience is a good start, but then again, there are lots of talented writers and VAs who are just starting out, so don’t weed out the newbies too quickly. Ask for testimonials. Ask to see samples of work. Then talk to the freelancer about what you need. Can she do what you need done? Can she deliver on your timeline? Craigslist is another great resource. You can post an ad for your project on Craigslist. Having said that, as a writer perusing Craigslist for work, I have seen the good, the bad and the ugly. Give as much detail as you can about who you are, where you are, what you’re looking for, and what kind of compensation you can offer. I see ads posted every day that are vague, nonsensical, arrogant, and many more that are just plain sketchy. I don’t have the time or energy to guess what I might be getting into should I take the time to get in touch. The freelancer who does have the time to respond to something poorly posted may be available for all the wrong reasons. Post a well-written, detailed job listing. Put a call-to-action at the very end. This is to see who reads to the end, and can follow instructions. Ask the applicant to respond with a link to his or her work or some testimonials with contact information. If you are a small business owner, you should be networking with other small business owners (if you aren’t, you should be – that’s a whole other blog post). Ask other entrepreneurs for recommendations. Where I live, in Durham region, we have active, robust networking organizations; some of my best clients have come from networking meetings. Check out other small business websites. If they’re good, find out who built the site. Ask who wrote the copy on the site, or who did the graphic design. Use LinkedIn and Facebook, where you can search up “writer” or “communication specialist” and “virtual assistant” in your extended network. One amazing resource is the job website Indeed.ca. Resumes are searchable, by keyword. If you search “writer” or “administrative assistant” in your city, dozens of great resumes will pop up. Pick out a few that look promising, and go on Facebook and LinkedIn to do some due diligence. Stephanie Regan has been writing professionally longer than she’d like to admit. Find out more about Stephanie at www.durhamwritingservices.com. Do you ever find yourself feeling overwhelmed with your business? There’s so much information out there. Facebook Live, webinars, blogging, newsletters, networking – where do you start? This can be particularly challenging if you’re just starting out or if you’re on your own. I think the best place to start is doing things that bring you joy. You started your business for a reason, you have a product or service that you want to share. If you start by doing things that feel awkward to you, it will be easy to give up. Not only will it be easy to quit, but your potential clients will sense it too! Here’s the thing to remember: you don’t have to do it all! You have to do what works for you, what allows you to be at your best. The other stuff will come. You can get training, hire a coach, read books; but the best way to start is with your strengths. Don’t get caught up in the comparison game. It will drive you crazy and take you off track from doing the things necessary to grow your business and have fun along the way. Paying too much attention to what everyone else is doing can be maddening. If it works to inspire and motivate you, go for it! If you find yourself feeling less-than because of what others are doing, stop it. At the end of the day, unless you know them personally, we don’t know what their struggles are. Most of us aren’t sharing the defeats and let downs on social media, but that doesn’t mean they aren’t happening. It’s important to focus on you and what you want to accomplish. You don’t need to try and implement every tool out there at the same time. You don’t need to be on every social media platform. Do what feels right to you and be where your people are. Reflect on your growth and the progress you’ve made in your business and don’t worry about how everyone else is doing. As long as you are making headway in your business, that’s all that matters. Being an entrepreneur can be a stressful endeavor. When we focus on our own growth, focus on our strengths and work on improving our weaknesses we begin to see the fruits of our labour. You don’t have to be like anyone else or do what everyone else is doing. It’s all about being the best version of yourself so you can do your best and create the business of your dreams! Gettings bums in seats at your next event can be a challenge and social media is a sure way to help get your message out there. Here are some important Dos and Donts when promoting your event on social media. DO create a website for your event with pertinent information and registration instructions. While sites like Eventbrite are fantastic tools for creating online event registration portals, you should still have a dedicated website where all of your event details will be accessible for interested attendees. DONT create a Facebook Event instead of a website. Rather, create a Facebook event that links to your website for more information. DO write a press release and share it as a blog post. This should contain all of the relevant information about your event including a history of the event and details on the desired outcomes for attendees. DONT expect people to look for information on your website. Use social media to share the press release and website link often. DO use your social media sites to promote details about sponsors, vendors, presenters and more. In your posts, be sure to tag others and encourage them to like and share it to their own audience. DONT ignore the importance of using paid advertising in addition to regular social media posting to draw attention to your event and your website. Make use of the power of custom audiences in Facebook Ads to target the right demographic for your event. DO make use of your email list to send regular reminders about your event to both your regular mailing list as well as those who have registered. Keeping your event top-of-mind is a sure way to fill those seats. DONT rely solely on social media. While you can implement many of the strategies listed in this blog, don’t neglect traditional forms of media or promotion. It’s important to create a press release and to list your event in as many online or print event listings as possible. Are you spending time looking at the right parts of your Facebook business page? It’s so easy to get distracted by “shiny things” on Facebook, but as a business owner it’s important to stay focused on your goal to connect with your followers. Having a strategy for your social media marketing should also include regular maintenance on your Facebook page to ensure that what you are posting and sharing is actually connecting with the right followers. Update the “About” tab on your Facebook Business Page regularly. Take a few minutes at least once a month to revisit and revise the fields with important information about your business. In particular, ensure that the Short Description, Long Description and all contact details are up-to-date and accurate. Review the Insights for your Facebook Business Page often to analyze what posts are reaching your audience and are engaging your followers. The Insights can help you identify the best time to post and can provide you with more demographic information about the people who engage with your Page. Monitor the interaction on your posts and be sure to reply to all comments quickly! The average social media user expects a reply within 1 hour to a comment that they make on social media. Be considerate of the time someone took to make a comment, and respond in kind, even if just to say Thank You! Share your involvement in local or online events and be sure to create event listing for events that your business is hosting. Invite your friends and contacts to join your event page for updates and event information. If you are participating in someone else’s event, you can add that event to your page’s event listing without creating a new event. This helps to connect your business page with others, thus increasing your visibility! Know when to spend money on boosted posts and promotions on Facebook and allocate an appropriate budget for this purpose. Keep in mind that you should first set up target audiences in Facebook Ad Manager before spending any money on promotions. The more time you spend to target the right demographic, the more return you will see on your ad spend. To learn more about how to maximise the effectiveness of your Facebook marketing efforts, schedule a complimentary consultation with Teach Me Social. Teach Me Social owner Kelly Farrell has been helping empower Canadian Small Business owners through social media for over four years. Teach Me Social offers effective social media services which include training sessions and consulting as well as full-service social media account management. There is a big difference between jumping on the bandwagon just because “everyone else is doing it” and adding a new tech trend as part of your overall digital marketing strategy. The rate of change in the world of technology, especially for business, is extremely fast-paced and keeping up with the new apps, website trends and social media features can be a very daunting task. Despite the challenges that come with keeping up, it can be very beneficial to be an early adopter of new technologies and digital shifts. The first users on many new platforms, websites or apps are usually privy to special offers and features. On social media, the early arrivals are almost always the first to develop a large following of other early arrivals, who also tend to be more engaged and loyal than new followers later on. Getting on board with a new feature or platform also give you ample time to work out the kinks, a time when making mistakes are part of the game and adds authenticity to your brand. Part of social media is the allure of being able to see behind the curtain of a logo and glimpse the authentic personality driving the message. Working out the kinks and figuring out a new platform with other early adopters also sets you up as a leader and expert when the rest of the crowd follows you. If your brand stands for ingenuity, creativity or innovation in any way, then getting on board and being part of the initial phase could play a huge role in setting your brand up as a leader in forward thinking. When your brand shares their enthusiasm by joining in on trending topics on social media, it shows your followers that you are current, relevant and engaged. All that being said, the biggest danger with new technologies is the “shiny things syndrome”! It’s happened to the best of us – like children, we are easily attracted to new things and can get sucked into spending hours playing with new features and testing out new toys. Will using this tool attract new customers to my business? Is my target demographic already using this tool? Will my business benefit from being part of a trending conversation online? How much time can I afford to spend daily using a new technology tool? If you weigh the pros and cons of each new tool, it becomes easier to identify trends that will have a positive impact on your business and ones that may not be worth your time investment. In most cases, it is always a good idea to get advice from an expert or other small business owners. Attending networking events and joining online communities (like Canadian Small Business Women) are great ways to know what other entrepreneurs are doing online and where they are focusing their energy. Teach Me Social owner Kelly Farrell has been helping empower Canadian Small Business owners through social media for over four years. Teach Me Social now offers services ranging from training sessions for small business owners and their teams to full-service social media account management. Visit teachmesocial.ca to learn more about our service offerings or to book a no obligation consultation, including an audit of your existing social media channels. When blogging made its first appearance in the late 90’s, it was mainly used by individuals wanting to express their thoughts and feels towards various topics. However, over the years blogging has evolved and is now used as a main tool for many businesses to express ideas, pass along valuable information and is a means of keeping connected with clients. Blogging is one of the biggest, easiest and not to mention free marketing strategies out there. Entrepreneurs, whether established or starting up, need to understand the importance and value of this tool. Boost your websites search engine optimization (SEO): by posting blogs frequently, Google and other search engines will be able to use the important key words, which are plugged into your post and your appearance on the search engines result page will increase. Causes traffic to your website: by linking your blog site to your business’s website, you will increase traffic flow, along with creating more awareness around your brand. Establishing relationships: end your blog post with a question and get conversation going, create a section under your post for readers to leave a comment or additional feedback. Being able to review and respond to their comments will give you some insight as to what your customers are looking for from your business. Connecting to the brand: most outbound marketing techniques do not allow you to show off your personal side, blogging gives you the opportunity to show your business’s true personality. Free marketing: whether readers share your post on Facebook, tweet it or email your blog to a friend, this is helping create more buzz around your business. It’s happened to all of us. We work hard to publish an article or a social media post only to have someone come along and respond with a negative or defamatory comment. It’s disheartening, frustrating, upsetting and even angering and it takes every ounce of patience to not want to write back an equally negative and snarky reply. I’ve been there, and I’ve felt the same way. But I can honestly tell you that the best way to respond to negativity on social media is with positivity. Sir Isaac Newton described his 3rd Law of Motion by explaining that “Every action has an equal and opposite reaction.” In elementary Mathematics, we are taught that a negative and positive number of the same absolute value cancel each other out in an equation (ie. -4 + 4 = 0) What does this have to do with social media? Well, the same notion of countering forces can be applied to all positive and negative forces, energy and comments. As a rule of thumb in customer service, it is always best to respond to customer complaints in a calm, professional manner. As business owners, we need to recognize that the customer just wants to feel validated for their complaint. This can be handled in a number of ways, but it is always best to acknowledge their negative experience and try to offer a solution. There may not always be a mutually agreeable solution, but remember that an angry customer has more potential to do damage to your business’ reputation than a happy one. Here are some important Do’s and Don’t’s when considering how to respond to customer complaints, reviews or feedback on Social Media…. Don’t ignore it. It might be tempting to try to delete the comment, or hope it quickly fades down in people’s newsfeeds, but there is never any guarantee. It is always better to respond and address the problem than ignore it and hope it goes away. Don’t respond back with negativity. In the world of debates, two negatives never equal a positive! Responding with anger or offence is just going to add fuel to the fire. It’s upsetting for everyone involved and surrounds your business with negative energy. Don’t get into a battle. There is nothing to be gained from trying to have the final say. Anyone following the discussion on your social network will be able to “see” the entire battle unfolding and each of your followers has an easy click to unfollow you and refuse to see any future posts from your business. 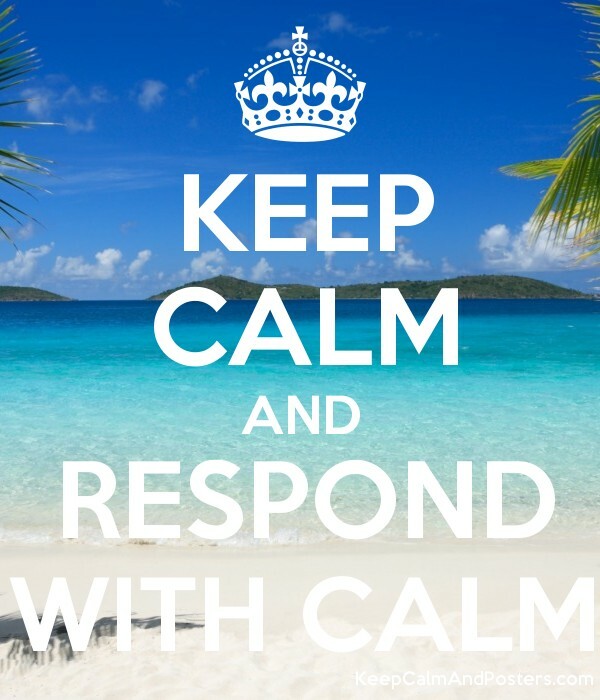 DO take time to formulate an appropriate response before typing any reply to the comment. If possible, ask a colleague or trusted friend to read your reply first before you publish it online. Taking time not only allows you to respond with a clear head, but it also has likely given your disgruntled customer a chance to cool off too. DO respond with professionalism and offer to address the complainant’s concerns offline, perhaps via email address or over the phone. Offer a solution to the problem right up front so that the next step is in their hands to either take you up on the offer, or to walk away. DO end the discussion quickly, after a single, well composed reply. There is nothing to be gained by carrying on the discussion if you first response did everything to address the complaint, offer a solution and provide a non-social media form of communication to use to continue the conversation. 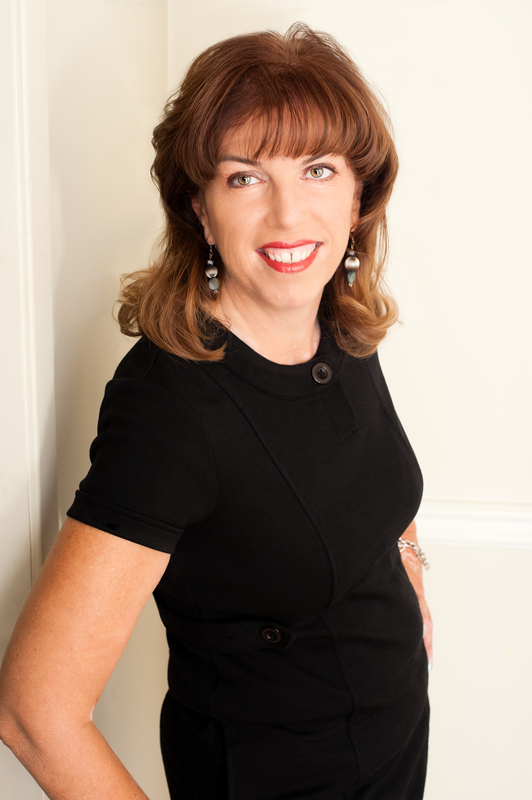 Teach Me Social owner Kelly Farrell has been helping empower Canadian Small Business owners through social media for over for years. Teach Me Social now offers services ranging from training sessions for small business owners and their teams, to full-service social media account management. Visit teachmesocial.ca to learn more about our service offerings or to contact us today for a no obligation consultation, including an audit of your existing social media channels. You have your fabulous business idea, you have your goals written out, and you have written a killer business plan. The next step can be the most daunting one when it comes to launching any business – you have to tell people about what it is you do. You are an “instant” hit – it looks like you are going to meet or surpass your goals. Nothing – no one seems interested in buying what you are selling, or perhaps you aren’t reaching them in the right ways. Your audience vocally doesn’t like what you are offering – this is pretty rare unless you have completely misread your audience. Often, for an entrepreneur, the fear of failure can hold you back from putting together the best marketing strategy you can. You are afraid that if you put yourself out there completely you won’t be received well. The best way to get over your fears is strategic planning and focus. I know what you are thinking… I read this blog for THAT?! As simple as it might seem, the one thing that gets pushed aside is great planning. You may have a lot of great ideas for a marketing plan, but is it a full strategy? And do you have a plan to keep yourself on track? Have you considered your target audience’s needs and behaviours? Your audience should always dictate how you market your business. For example, if you are targeting an audience that isn’t very tech-savvy, that Twitter Q&A you have planned is the wrong place to invest. You may want to consider more traditional tactics like direct mail or event-based marketing. Do your selected tactics fit within your overall business goals? It’s easy to get caught up with what your competitors are doing or the latest and greatest technology that is on the market, however you should take a step back and consider those goals and objectives in your business plan. If your goal is to become an industry leader in your field but you hadn’t considered a strong content marketing or PR plan, then you should reconsider your planning. Focus is your best friend. It is easy to look at all of the things you have to do and find smaller, less important tasks that you “just have to” complete first. While cleaning out your junk drawer in your desk can probably wait as well, I am talking about all of the things that can derail a great strategy. For example, you have set out to market your business on Facebook, Twitter, and Instagram, but you heard about how neat Snapchat is and you thought you would “just set up” an account. Before you know it, you have spent half a day on something that you hadn’t planned on. Are you evaluating your strategy on a regular basis? Changing your original strategy isn’t a bad thing as long as it comes from a strategic evaluation of what is working and what isn’t. If you aren’t getting the traction you expected from Facebook, maybe you should consider a different social channel or focusing your time and resources into a different strategy altogether. It’s important to track the success of your efforts so you can look at your success over time and tweak your strategy as necessary. Are you trying to be an island? This is a huge cause of entrepreneurial fear (and failure). You may be the biggest champion of your own idea, however, sometimes it’s good to bring a third party in to look at your strategy with an unbiased eye. You don’t have to hire someone to do your entire strategy and execution for you (your budget might not allow for that!) but you can work with a consultant or coach to make sure you are on the right track. Your hesitation in starting your marketing outreach could stem from not feeling confident in your strategy and this will help with that. As a business owner you should always give yourself enough space to take a step back, take a deep breath, and get back to the basics of what makes your business a business – your idea, your goals and objectives, your brand story, and your target audience. As long as you have a good foundation in the basics, you can approach everything else with confidence. Facebook News Feed: How does it work? Facebook decides what to show you in your news feed based on other similar content that you browse. For example if you spend most of your day reading articles about animals, watching videos about animals, then you will see more content about pets and animals on your news feed. How do you get your content to show on your fans news feeds? You need to create content that engages your users, and keeps them around. The longer users spend on your content, the more likely they are to see your updates in their feed. There are a few ways to do this. Don’t use deceptive headlines, this won’t win you any points with Facebook’s algorithm. Make sure you have great content. You want a catchy headline that will make people click on your link, video or instant article. How much content is enough? Don’t make content for web and mobile too long. The majority of people have a very short attention span when interacting with online content, especially articles and videos. While the algorithm measures time on content, there is a maximum threshold. Due to feedback from users, Facebook plans to implement some diversity in it’s news feeds. Users have complained about seeing the same content, back to back, from the same publisher, pages or sources. Facebook learned that users want to see wide-ranging content from different publishers. Diversity can be harder nut to crack, but there is a very simple way. Make sure you post your blog on multiple site, get friends pages to share it, if you have partners, ask them to share your info. The more places that your content lives, the more likely it will appear in people’s news feeds. I do however want to suggest caution, as having your content on too many sites can damage your google search rating. It’s all about finding the right balance. The other thing you can do is to re-purpose old content, and share that to your page via other links like from your blog, your LinkedIn page, employees pages. You have more content to draw from and share than you realize. This is an easy on to achieve, create stories that matter to your audience. Are you involved in the community? write a blog about it. Do you help out with charity drives? write a blog about it. Did an employee of yours win an award? write a blog about it. Creating stories is easy because there are so many around you if you just take the time to really connect with your customers and employees. I’m sure you’ve seen this in action. You follow a new business page, and BAM, their content starts to show up in your news feed. Pretty convenient right? Well, here’s how you can start to take advantage of that for your business. You have all these fans, maybe thousands, that like your page and have shown interest in what you do or what you offer. Encourage your fans to share your content. The more that they share, the more your content will appear on their friends news feeds. Identify who your regulars are. Who is always commenting, sharing and engaged with your content? Give them a shout out, recommend that other people follow them. You can also start following other businesses, recommend other businesses who you have had successful partnerships with in the past. All of this not only helps you gain more exposure to followers of these groups, but also helps to build your brand awareness and recognition. This one is pretty straight forward, if users tend to watch more videos on Facebook, then their feed will tend to include more video content. Same goes for text, photos and links. To overcome this obstacle, be sure to have a wide variety of mediums for your content. Have a good mix of text, video, pictures and links. Lets talk about engagement first. If a post has a lot of engagement with your audience, it will be more likely to show up compared to something posted recently. For example, if someone posted content yesterday that got a lot of engagement and you decided to share that same content today, Facebook would prioritize the post with the highest engagement to show up on the news feed. For recency, be sure you post everyday. If you take a few days off from posting anything, then you will be less likely to show up in news feeds because your audience also follows pages who may post more often and therefore will have a higher chance of showing up. So make sure that you post often and that you are getting engagement on the content you are posting. While this is an option for all users, most people are unaware of this option. Users can hide posts from friends and pages, while still remaining friends and fans of those same pages. 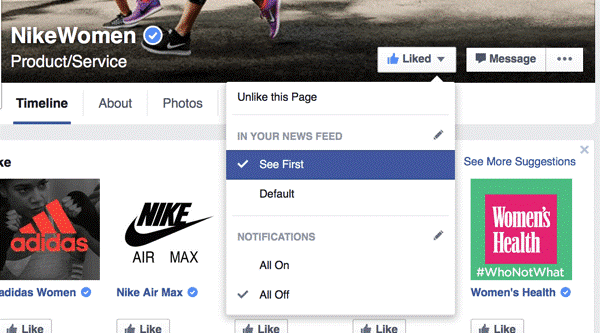 Users can also tell Facebook which pages they would like to see first in their news feed. Make the assumption that most users don’t know about this option, then tell them how they can be sure to see your content first in their news feed. Take a screen shot of your page with the instructions of “how to see us first” Then pin it to the top of your page or make it a part of your cover photo. Companies like Facebook and Google are constantly changing how their algorithms work, so it can be a full time job staying on top of the changes and understanding what they mean for your business. Keep up with the changes and adapt your content to meet those changes and you will see better results. Teach Me Social owner Kelly Farrell has been helping empower Canadian Small Business owners through social media for over three years. 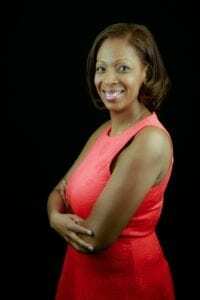 Her team now offers services ranging from training sessions for small business owners and their teams, to full-service social media account management. Visit teachmesocial.ca to learn more about our service offerings or to contact us today for a no obligation consultation, including an audit of your existing social media channels. Social media has changed the way companies and people network themselves because now a days it isn’t about who you know, it’s about who knows you. Marketing yourself through social media has become the norm for businesses and thanks to sites like Facebook and Twitter, interacting with your cliental couldn’t be more easy and beneficial. Feedback: receiving supportive criticism could potentially impact your business in a more positive direction and help adjust your marketing strategy. Constantly connected: social media provides you with the ability to view problems or concerns customers may have. In return this gives you the opportunity to respond and resolve these issues immediately. Personal: social media to many can feel more like a personal connection and not just some business shoving out advertisement. Being able to read tweets or posts will give you the opportunity to learn what your clients have to say, which can become helpful advice in making improvements within your business. Finding customers: using key word searches is a helpful way to find new clients. Using this tool will give you the opportunity to redirect them to your company’s personal website. Connecting: join multiple groups through Facebook relating to your scope of work. Market yourself within theses groups by posting a link to redirect potential customers to your site; this will help create brand awareness. Promote: media sites give you the chance to get your name out there. This can also help lead to clients recommending you to friends and family members through Facebook and helping create traffic to your website. It’s free marketing: unfortunately we aren’t all rolling in money and have millions of dollars to blow on ad’s for our company. These media outlets are easy to use and manage, while giving you the opportunity to promoting yourself without any fee. Much has been written (by me, for CSBW, never mind from all those other experts!) about creating great website content and how to blog for business. Today, I would like to add to the narrative by sharing my short and simple acronym for creating meaningful content that works. It’s “C.O.R.I.” When writing about your business in any capacity and particularly when creating content for your website, make sure that it’s Current, Original, Relevant and Interesting. Social Media encourages, to some degree, a tendency to “over share.” I attended a networking event recently where a person told me they shared to Facebook 7 or 8 times per day!!! I am not sure when they were getting any work done but unless you are actually in the business of Social Media, providing this as a service to clients as part of their business strategy, this is probably a little too often. It also begs the question are you sharing relevant information or just re-posting randomly? So unless you’ve hired an expert like my good friend Kelly Farrell at Teach Me Social, stick to the C.O.R.I. principle. Your website content should always be current. Create a schedule where you build time into your business to regularly refresh and update. There is nothing worse than searching for something on the web and coming across a Christmas special at Easter. Your product or service may not necessarily change but you can tweak the wording, offer a seasonal special or post a blog all of which could help your rankings if a search engine like Google thinks you are posting new content. Make sure your content is original. First and foremost if it isn’t that’s plagiarism and we all remember the consequences of that from school. Secondly, if you are posting and sharing excessively, from other sites, again your rankings could be affected because Google sees it as duplicated content. Besides, your website is about you, your product and/or your service so it SHOULD be original. Relevancy is a big one for me. This is not so much about your website content because it is assumed if you are describing your service, the content is relevant to your business! However, when sharing information across your other social media platforms it is imperative that you share content that is related to your business. Sharing stories about cute kittens or babies sucking on a lemon is not only irrelevant but frankly, might just annoy your potential clients and see you placed on their “blocked senders” list. Finally, when it comes to content, do your best to make sure that it is also interesting. Provide tips and tools that your potential clients can actually use. Share a news story that is current, interesting and related to your industry. Perhaps, offer a little known “fun fact” about your product that people might not already know. Post something regularly that engages your audience without inundating them. By creating content that is current, original, relevant and interesting you will create an audience that comes looking for you rather than you having to seek them out! Be an original. Share responsibly, not randomly.